Toby Aronson, a long-time VT resident, has a uniquely diverse background working in sales, non-profit management, arts publicity and music, and is a small business owner. His record label NNA Tapes has received international recognition in publications such as The New York Times and NPR. Previously a Sales Associate for Local First Vermont’s Buy Local Book & Mobile App, Aronson was responsible for continued growth in ad sales for the Chittenden & Stowe sales territories. Aronson has also worked with the non-profit Vermont Symphony Orchestra in their education outreach programs, including the Musical Petting Zoo. As a professional musician, Aronson has toured in musical groups throughout the United States and Europe, and is currently a regularly performing classical guitarist in Vermont. 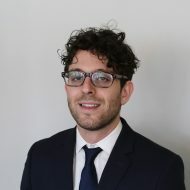 Toby’s strong skills in outreach and communication and his familiarity with Vermont’s business community make him an excellent advocate and recruiter for VBSR’s triple-bottom line mission and membership. Toby actively embodies his passions for good food, good community, good art, and the great outdoors. Contact Toby to learn more about membership at TobyA@vbsr.org. Dan joined VBSR as Public Policy Manager in the fall of 2010. He represents VBSR members at the Vermont Statehouse, lobbying on topics such as health care reform, clean energy and employment issues. Previously, Dan worked as a political reporter for the Vermont Press Bureau, was the recipient of the 2009 New England Associated Press award, and was a frequent guest on various Vermont news and analysis television and radio programs. Jane served as VBSR’s first full-time Executive Director from 1992-2002, then returned to the position in 2016. 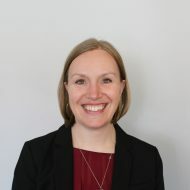 During her first tenure at the helm, VBSR became a player in Vermont’s political world, advocating for livable wages and sustainable development legislation. Under her leadership, the organization also created a sister 501(c)3 non-profit organization for research and education and more than quadrupled in membership, growing from 80 members to 365. VBSR now has 700+ members, finding success through leading social change. 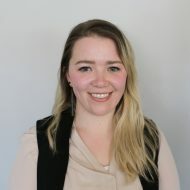 Liz joined the VBSR team in March 2018. Prior to working with VBSR, she served as Director of Alumni and Family Relations at Norwich University and spent five years as a member of the Sustainability Team at Keurig Green Mountain. At Keurig she managed the company volunteer program, connecting employees with local non-profits and planning annual river clean-up events across the country. 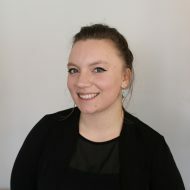 Lucie joined the VBSR team in December 2015. She brings many years of experience assisting in the ongoing financial health of non-profits in both New York and Vermont. 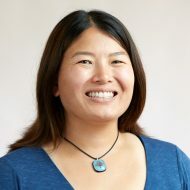 Mieko joined the VBSR team in January 2018. Prior to working with VBSR, she served as Program & Marketing Director at Yestermorrow Design/Build School and was the Projects Coordinator at UVM’s Office of Sustainability for 8 years. She is a VBSR member, owner of Radiance Studios, a digital marketing and event production consulting service, and co-founder of Vermont Womenpreneurs, a digital and event production that celebrates women-owned businesses in the Green Mountain State . Samantha Sheehan first joined VBSR as the Manager of the Local First Vermont program in April 2017 and became the Communications Manager in January 2018. Sheehan is committed to supporting sustainable economic growth throughout Vermont. She has a passion for education and service, enjoys working directly with small business owners, and is excited for the opportunity to manage VBSR’s growing communications efforts. In addition to working as our Communications Manager, Samantha is the owner of Valley.Works Coworking Space in Waitsfield. She also works as a freelance designer and social media marketer for a variety of Vermont businesses and non-profit clients. Sheehan is also the Director of Slideluck Mad River Valley, and volunteers on the leadership team of the Vermont Creative Network.